Violet has been scarred most of her life. At age 13, a freak accident left her face disfigured. As she matures in the hills of North Carolina, Violet dreams of becoming beautiful. Her faith convinces her that a televangelist in Tulsa can heal her. As she turns 25, Violet hops a bus and begins the journey towards what she is sure will be a miraculous transformation. On the road Violet discovers the true meaning of beauty - what can be seen and can’t. 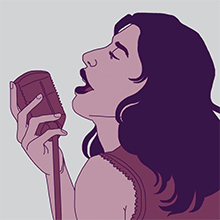 Winner of the 2014 Drama Critic's Circle Award for Best Musical, Violet is a modern fairy tale filled with show-stopping anthems of the 1960’s American south. 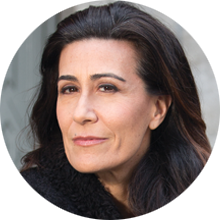 The vibrant score features country, bluegrass, gospel and blues music from one of most applauded composers of contemporary musical theatre—Jeanine Tesori (Caroline Or Change, Thoroughly Modern Millie and Fun Home. ). REPCast kicks off the REP's 40th sesaon with its first episode featuring audio from our first Surround Event of the season Talkin Theatre With Todd. 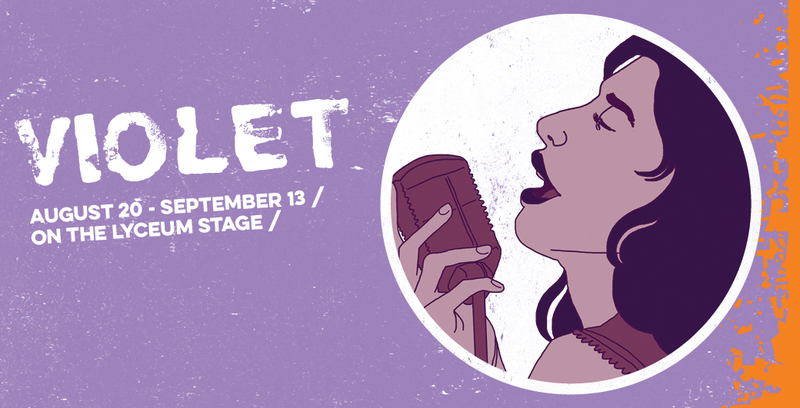 Join REP Associate Artistic Director TODD SALOVEY and members of the creative team for Violet as they share the inside story of the creative process that brought this extraordinary musical to the stage. Todd's guests are REP Artistic Director and Violet stage director SAM WOODHOUSE and Assistants to the Director ADIRA ROSEN and HANNAH TRUJILLO. Our podcast series continues with SAM'S SALON: TODAY AND YESTERDAY. The quests for equality, dignity, justice, self realization and the resulting conflicts that were central to the Civil Rights Movement of the 1960’s are also central to the story of the musical Violet. REP Artistic Director SAM WOODHOUSE hosts leaders of the NATIONAL CONFLICT RESOLUTION CENTER for a unique conversation that will explore how individuals and communities solve conflicts with civility that fosters dignity and equality. Join the cast of Violet for an open discussion of the work onstage. Hosted by The REP’s Casting Director JACOLE KITCHEN. This episdode of the podcast is a recordeing of the debut of our new LGBT Surround Event series with a rare chance to meet the Editors who shape and deliver news in San Diego. It was recorded on September 4th prior to The San Diego Repertory Theatre production of Violet. Current San Diego Uptown News and Mission Valley News editor KEN WILLIAMS was the editor in chief at San Diego Gay & Lesbian News for five years. MORGAN HURLEY is the editor at Gay San Diego. Learn about the journey each has taken to secure a voice in our diverse community in a conversation hosted by REP Literary Manager DANIELLE WARD. This surround event was sponsored by GAY SAN DIEGO.